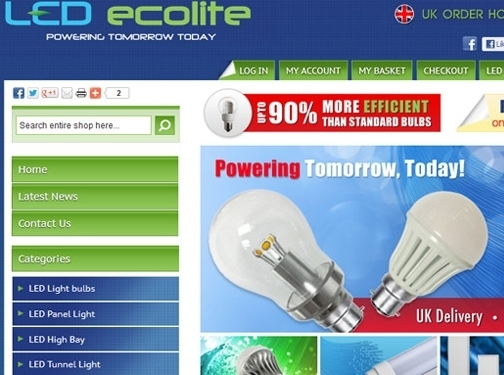 LED Ecolite supplies LED Light Bulbs throughout the United Kingdom. UK (Loughborough, Leicestershire) based company providing LED light bulbs for sale. Website includes e-commerce facilities, delivery and returns information, terms and conditions, news section, full company contact details.